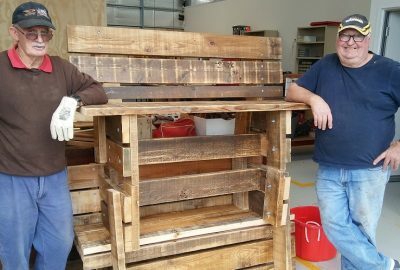 Project managers Ross Jasper and Greg Reynolds prepare to transport the newly constructed benches. Atwell Lions Club has commissioned the construction of six “Buddy Benches” destined for local Primary schools. The first four benches have already been delivered, and the feedback from the schools has been fantastic. Well done guys!